One of the most exciting things that you will ever do, is buy a new car. And whether that car is brand new, or just new to you, the thrill that results from feeling that wheel beneath your hands and getting to drive it home for the first time, is an experience that is never forgotten. At Ressler Motors, we respect that everyone is entitled to feeling that great joy, so we have a list of brand promises that ensure that every purchasing experience at the Used Cars Dealer in Bozeman, lives up to the expectation. With almost 400 quality vehicles that have been carefully selected in our inventory, not only is it easy to find something that is suitable, you can rest assured knowing that the one you choose has been chosen by us first. Start your purchasing experience from the comfort of your home and when you see something that catches your eye, come in and experience why more people choose to return to Ressler Motors for subsequent automotive purchases. From the cheeky and cheerful Avenger, to the ever capable Dodge Ram 1500, you won’t go wrong with a Used Dodge In Bozeman. With plenty of options on the lot, you can choose the vehicle that best suits you needs. Take advantage of buying from a reputable dealership and grab yourself a great car at a great price. The Dodge Dart will give you plenty of years of service with low mileage and near new condition. A Durango will be a hit with the family, offering space, features and convenience that is apparent in all seating locations. 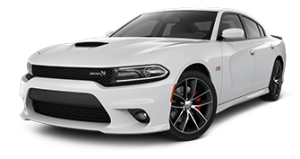 Dodge is the brand that knows just what you need from passenger vehicles to pickup trucks. Ressler Motors is the dealership that knows the value of a used Dodge and can’t wait to help you upgrade to a newer, more reliable vehicle. Bring your trade in vehicle and take advantage of our best price promise.